The Phoenix Theatre has gone through some huge changes in the past year. In addition to moving into a brand new state-of-the-art theater, it also has a new artistic director, Bill Simmons. With all of that in mind it’s not surprising that the theatre opened its new season with something a bit outside of its normal range. Known for producing plays that tackle tricky issues the theatre doesn’t often do musicals and when it does they tend to be edgy shows like Spring Awakening, American Idiot or Avenue Q. In contrast, Bright Star is a bluegrass musical with a big heart. 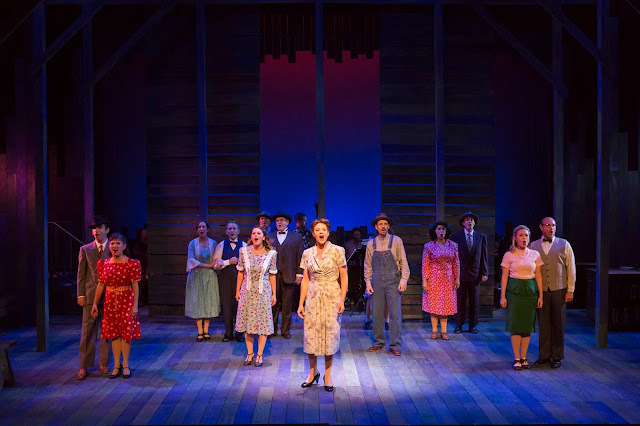 Written by banjo-playing renaissance man Steve Martin and Edie Brickell, the show is set in the hills of North Carolina in the 1940s with flashbacks in the 1920s. It is at times playful and at others steeped in nostalgia. There’s a large ensemble cast with a full bluegrass band onstage providing live music. The set is simple, with movable pieces on wheels and straightforward staging. The result is an absolutely delightful show. The story follows Billy (Ian Laudano), a soldier who returns home from World War II bursting with hope and an ambition to become the next great southern writer. His path crosses with Alice Murphy (Molly Garner), a middle-aged editor who he hopes to impress. Murphy is utter perfection in this role. She plays both a young spitfire girl with a thirst for life and the spinster editor living a quiet life focused on her work. Her joy and anguish shine through in her scenes and her voice just blows the audience away. Both of the other leads, Laudano and Patrick Clements as Jimmy Ray, hold their own wonderfully. Daryl (John Vessels) and Lucy (Ashley Dillard) make a great comic duo. They provide the perfect sweet and sour dose of humor throughout the show. A few of the songs are just a bit clunky and probably could’ve have been streamlined, but the musical as a whole works so well. It’s driven by the heart and talent of the main characters and the performances of Murphy, Laudano, and Clements are outstanding. I didn’t realize until the show was over that it was inspired by a real story. That only added to the depth of the musicals impact. 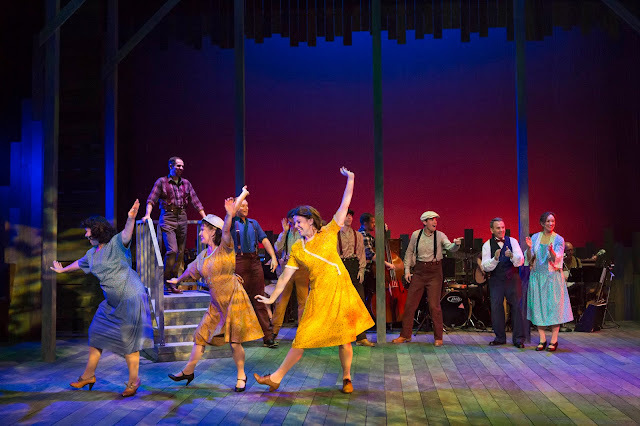 Bright Star certainly lives up to its name and kicked off the Phoenix season in style. 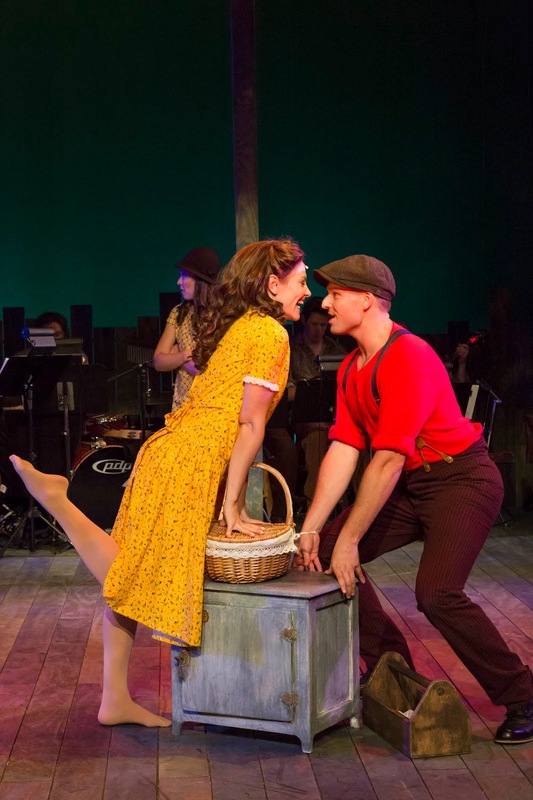 Although Bright Star has closed, there’s no shortage of shows coming up this fall. Cabaret Poe is currently on stage. The deliciously dark musical celebrates the work of Edgar Allan Poe in an original production by Ben Asaykwee. It is celebrating its 10th anniversary and has become a fall favorite in Indianapolis. It closes Nov. 4 so get tickets now! After that audiences can get into the snarky holiday spirit with an all-new iteration of the annual Christmas show. A Very Phoenix Xmas 13: Merry Superstitious opens No. 23 and runs until Dec. 23. For those of us who love a bit of humor at the holidays, it is a perfect fit.